My family always has black-eyed peas and cabbage for New Year's! 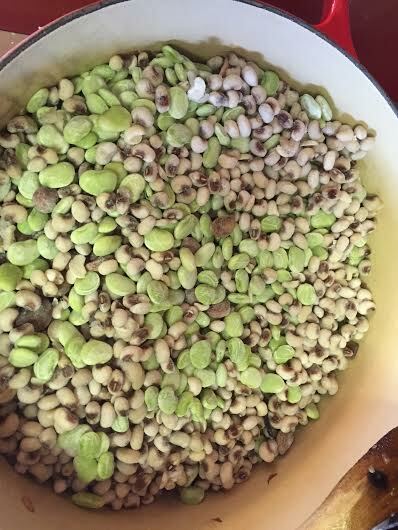 The black-eyed peas symbolize good luck and the cabbage symbolizes wealth in the new year. 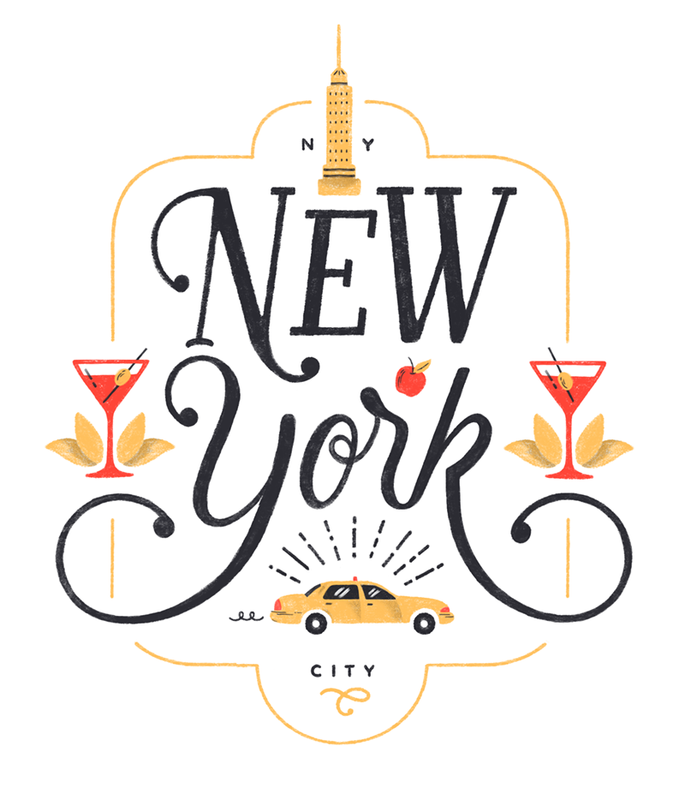 I'm hardly ever home for New Year's Day since I have made a habit of spending the last several New Years Eve's in New York City. But, due to a string of events, I'm still in Louisiana, so I decided to try a simple cassoulet bean stew that features black-eyed peas and cornbread dumplings, which I then served with brussels sprouts, which are basically baby cabbages. This dish is surprisingly simple to make, and can also be prepared fairly quickly since it uses the shortcut of frozen beans. This dish is rustic, hearty, and extremely satisfying. 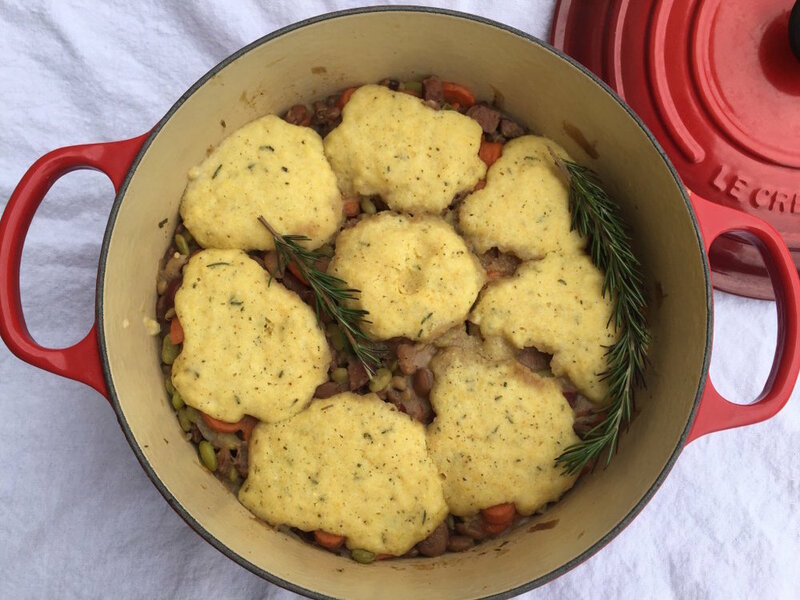 It's somewhat of a peasant dish since the base of it is legumes, and the rosemary--particularly in the dumplings--elevates the flavor profile. I used a lot of stuff I already had in the refrigerator--like turkey stock from the Christmas Day turkey. Also, this was my first time making dumplings, which is super fun! The dumplings actually cook in the pot with the stew! I loved that. Enjoy and have a Happy New Year! This recipe is adapted from SL Mag. Serve this with pan-seared Brussels Sprouts. Just cook the brussels sprouts in a hot skillet over medium high heat in olive oil until browned. Then, add salt, pepper, and a few splashes of red wine vinegar. The acidity from the red wine vinegar, and the crunchiness from the seared brussels sprouts pairs perfectly with the beans and cornbread! Prepare stew: Sauté carrots and onion in oil in a Dutch oven or heavy-bottomed pot over medium heat 3 to 4 minutes or until tender. Add garlic, and sauté 1 minute. Add sausage (if using), and cook, stirring often, 3 minutes. Stir in beans, stock, rosemary and spices; bring mixture to a boil, reduce heat to low, and simmer, stirring occasionally, 15 minutes. Prepare dumplings: Whisk together flour and next 5 ingredients in a medium bowl. Stir in pieces of butter until it resembles cornmeal (as if you are making pie dough). 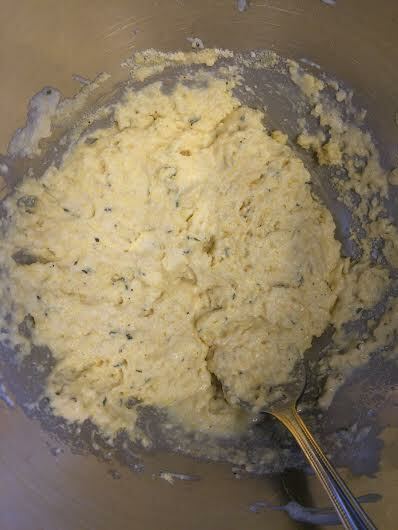 Stir in rosemary and buttermilk until combined. 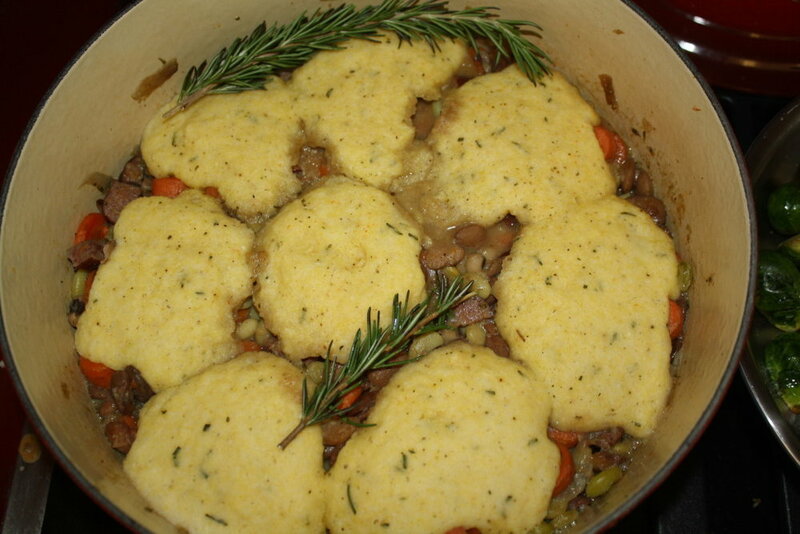 Drop dough by tablespoonfuls 1/2 to 1 inch apart into hot, simmering stew. Cover and simmer 15 to 20 minutes or until dumplings are done and dry to the touch. Serve immediately.